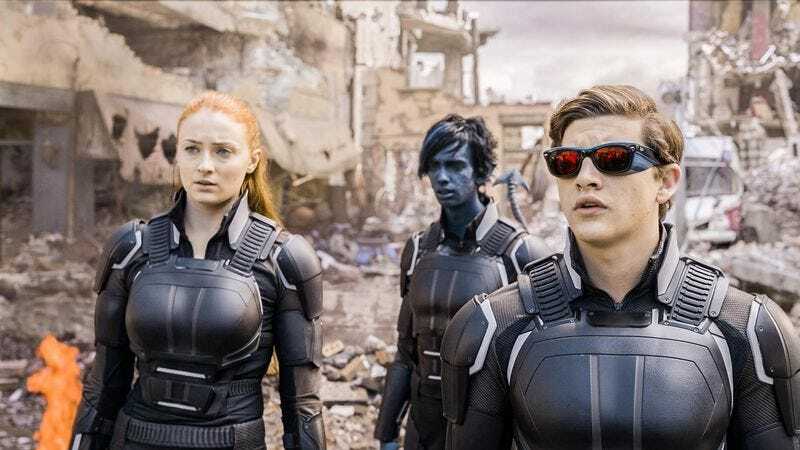 The story: The new timeline created by the end of X-Men: Days Of Future Past means that the ’80s-set X-Men: Apocalypse has a whole new realm of storytelling avenues to explore, but instead the movie plays like one big rehash of past X-Men films with the addition of an ancient antagonist with vaguely defined abilities and motivations. A villain captures Professor X in order to exploit his psychic abilities, just like in X2. Mutants team up to save other mutants captured by William Stryker, just like in X2 and X-Men Origins: Wolverine. Magneto losing his family during the Holocaust is a moment repeated throughout these movies, and Apocalypse introduces a new family for Magneto to lose in a particularly uninspired plotline. Enjoy the Quicksilver action scene in X-Men: Days Of Future Past? Well there’s another one in Apocalypse, except it’s set to “Sweet Dreams” and has Quicksilver rescuing mutants instead of taking out armed guards. Apocalypse does have the crazy moment of Magneto destroying Auschwitz after getting a power upgrade from Apocalypse, but the villain’s plot is standard superhero fare. Apocalypse wants to destroy the world so that he can rebuild it in his own image, and the X-Men stop him. Of course the movie isn’t going to end with the destruction of civilization as we know it. (Although the ’90s storyline “Age Of Apocalypse,” where Apocalypse does take over the world, would be exciting source material for a ’90s-set X-movie.) The most important thing about Apocalypse is that it reintroduces many of the most prominent X-Men in the new timeline, putting characters like Cyclops, Jean Grey, and Storm on the path to future superhero greatness. Noteworthy events: Where Jean Grey goes, Phoenix follows, and Jean shows signs of her immense psychic ability when she works with Magneto to take down Apocalypse. Expect that to be addressed down the line. Wolverine makes his obligatory appearance when the young mutants free him in Stryker’s facility (after he’s gone through the adamantium-grafting procedure), and the post-credits scene teases the arrival of Nathaniel Essex, a.k.a. Mister Sinister, a villain expected to show up somewhere down the line.